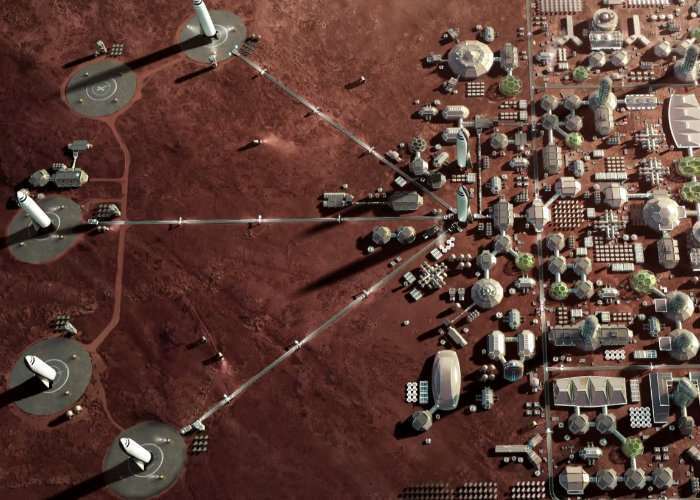 Today SpaceX and Elon Musk have teased details of a Mars city plan that will receive two cargo missions by 2022 and be fully colonised by 2024. SpaceX plans to start building mining, power and life support infrastructure during 2022 providing the infrastructure and habitat for the first settlers to arrive just two years later. To learn more about SpaceX’s plans for colonising Mars, the Red Planet watch the video below, during which Elon Musk reveals his exploration and development plan. Mars is located at a varying distance no closer than 33 million miles from the earth, Mars is the fourth planet from the Sun and the second-smallest planet in the Solar System after Mercury. Mars is approximately half the diameter of Earth with a surface area only slightly less than the total area of Earth’s dry land. Mars is less dense than Earth, having about 15% of Earth’s volume and 11% of Earth’s mass, resulting in about 38% of Earth’s surface gravity. At the International Astronautical Congress (IAC) in Adelaide, Australia, SpaceX CEO and Lead Designer Elon Musk will provided an update to his 2016 presentation regarding the long-term technical challenges that need to be solved to support the creation of a permanent, self-sustaining human presence on Mars.